For the 2011 Royal Institute Christmas Lectures on ‘The Brain’ the producers of the show wanted to perform a mock injection live on-stage and to subsequently observe how the heart rate of an audience member had responded to witnessing this event. We developed an application which took readings from a wireless heart rate monitor and displayed them live as instantaneous heart rate on a dial, and as a plot over time. 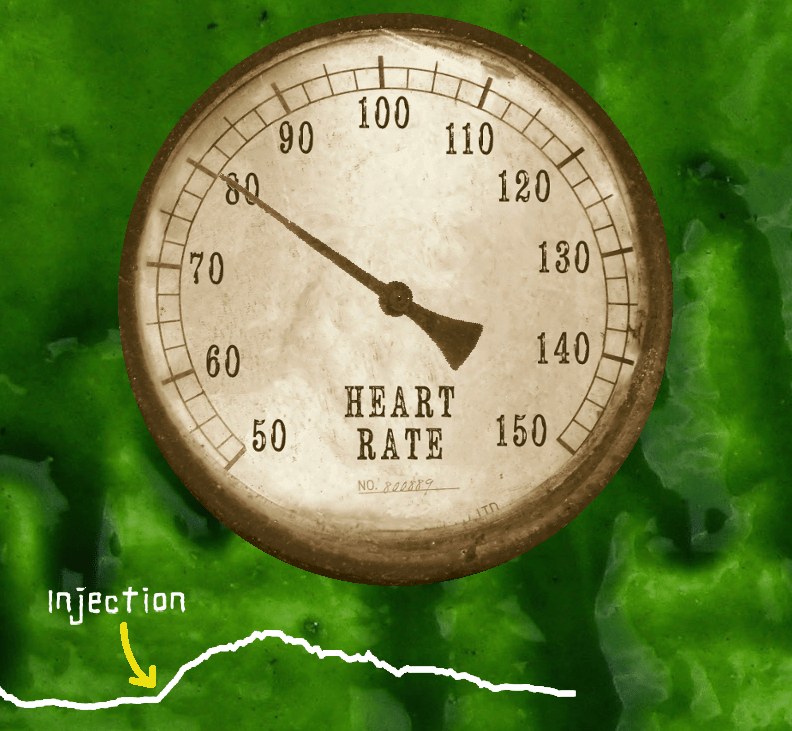 The application enabled real-time scaling of the data plot and the insertion of a marker to indicate the point in time when the injection was given. The visual theme of the show was inspired by old horror/zombie films so we tailored the ‘look’ of the heart rate display to fit the theme. The application was developed with Processing.